How to Satisfy Your Sweet Tooth in LA – Part 2! Anyone else out there have a whole other stomach just for dessert? Here’s a continuation of my list of great places to satisfy any craving in any Los Angeles Neighborhood! Just a quick walk from UCLA’s campus, this store has a line out the door at all times of the day. But don’t get discouraged! The line moves fast and at these prices, it’s always worth the wait. 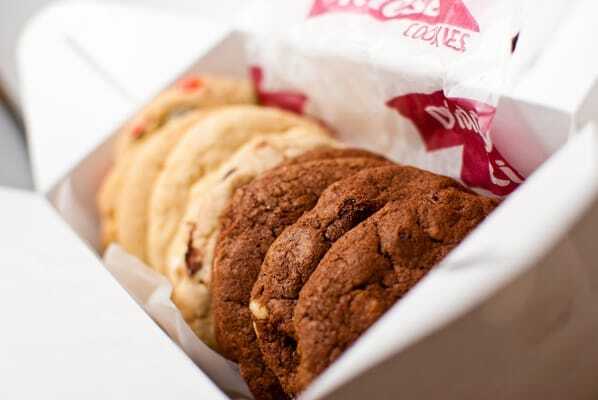 They’re best known for their ice cream sandwiches – a generous scoop of Dreyer’s ice cream squished between two freshly baked cookies of your choice. With over 10 flavors of ice cream and 10 types of cookie, there’s an almost endless number of combinations you can create, but my favorite sandwich is sugar cinnamon & white chocolate macadamia cookies with cookies & cream ice cream. 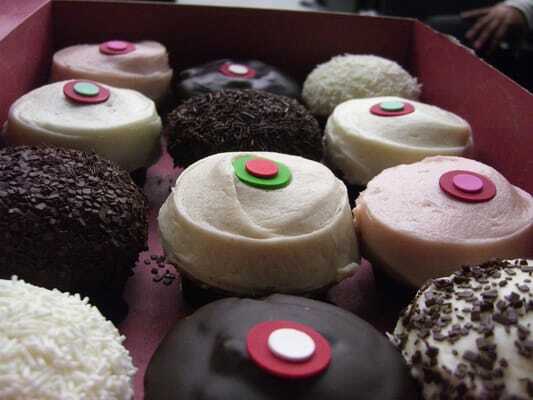 Sprinkles is original cupcake store that started the cupcake trend in Los Angeles. Best known for their red velvet cupcake, all their cupcakes and fluffy, delcious, and heaped with yummy frosting. They’ve gotten so popular, they opened the very unique cupcake ATM, located just outside their store, and an ice cream shop next door! If it’s your first time here, the Red Velvet is a must try, but if you’re feeling adventurous, their Pumpkin cupcake is the best I’ve ever tried. Bottega Louie is a wonderful Italian inspired restaurant, with a French inspired bakery. I’m going to veer off course for a moment and talk about their really amazing brunch: I took my friend here for her birthday and the food was spectacular. You really can’t go wrong with their Smoked Salmon Eggs Benedict and fluffy, sweet Beignets and fresh jam. Now back to the sweets: The whole front area of the restaurant boasts a huge selection of desserts, each more beautiful and tempting than the next. My friends and I came for the brightly-colored macarons, but I ended up walking away with a Creme Brulee Macaron Tart that was phenomenal. What would happen if Diddy Riese and Bottega Louie had a baby? 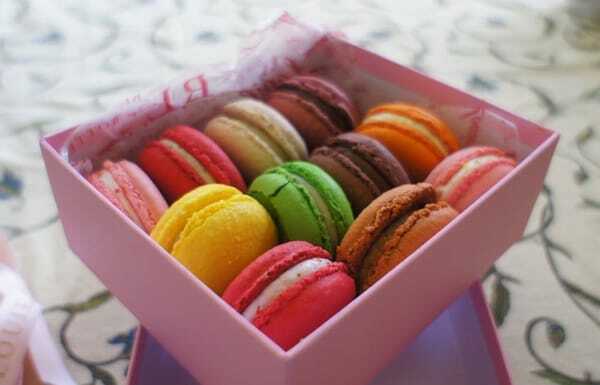 They would name it Milk, and they would sell ice cream sandwiches that put homemade ice cream between macaron cookies. The Grasshopper is great for you mint-lovers, but I recommend the Salted Caramel ice cream sandwich. And while you’re here, you could give their Blue Velvet cake a whirl! Just beware of the bright blue food coloring. There are so many more places to try, so if you’re ever curious or indecisive, www.yelp.com is a great research tool for all thing food. Stick with restaurants that are 4 stars and more, and I promise you won’t ever be disappointed.